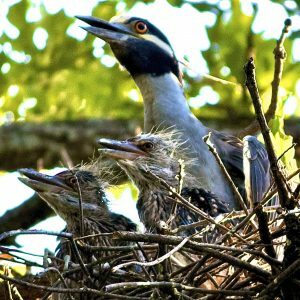 Become a citizen scientist for the day and discover who might be showing their feathers by participating in River Legacy’s Great Backyard Bird Count FREE Family Festival on Saturday, Feb. 16. River Legacy Living Science Center will lead guided bird counts and host a family-friendly festival as part of the 22nd annual Great Backyard Bird Count, a four-day global event sponsored by the National Audubon Society and the Cornell Lab of Ornithology that allows bird watchers from across the globe to count the birds they see from Feb. 15 through Feb. 18. River Legacy’s FREE festival slated from 10 am to 2 pm on Saturday, Feb. 16 at the Science Center, 703 NW Green Oaks Blvd., will give participants a chance to be citizen scientists by contributing to a snapshot of bird distribution that can help Cornell scientists discover changes over the past 20 years. Discover all of the family-friendly feathered fun available by downloading the activity schedule here. In 2018, Great Backyard Bird Count participants in more than 100 countries counted more than 6,400 species of birds on more than 180,000 checklists! This free festival is supported by River Legacy Living Science Center’s annual sponsors: Baylor Orthopedic Spine Hospital of Arlington, SA-SO and Viridian. Forget online match making, if you really want to find love, volunteer at River Legacy Living Science Center! The first time Angela volunteered at River Legacy in November 2005, she was briefly introduced to a volunteer wearing a Minimizer the Recycle Dog costume. Little did she know that she was meeting her future husband. Over the next couple of months and years, their paths continued to cross at River Legacy where they volunteered on a regular basis. Angela says, “I remember thinking, ‘I wonder if that guy will be here’ ” when she signed up to volunteer at Cardboard Boat Regatta. And of course, he was. Over the course of many more festivals, events and volunteer projects at River Legacy, they seemed to find themselves assigned to volunteer together. “It gave me a chance to learn his name,” Angela says. David and Angela soon learned that they had similar interests and after one volunteer event went to see a movie together. 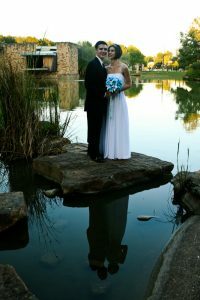 In April of 2009, while walking along one of the wooded trails in River Legacy Park, David proposed to Angela. It was only fitting that their wedding should take place where their relationship began. Angela and David received special permission to marry at the Science Center before it was an up and coming wedding venue! “Being able to marry my husband where I not only met him, but the place that our entire relationship grew from, was absolutely perfect!,” Angela says. Today, River Legacy Living still holds a special place in their family. The couple continues to volunteer together and bring their two children to many of the festivals and educational programs that River Legacy Living Science Center has to offer. The two are also reigning champions in River Legacy’s Cardboard Boat Regatta Build-On-Site races! Spread the love for Valentine’s Day! Share your River Legacy love stories — a favorite moment; a special place; a memorable meeting; a family pastime or tradition; an adorable anecdote; an outdoor adventure… Let us know what you LOVE about River Legacy by commenting below or posting on social media using the hashtag #LoveRiverLegacy! and bring it to the Science Center to complete your purchase. Shop Amazon Smile and select River Legacy Foundation as your charitable organization. You can do this by going to Amazon Smile, logging into your account or creating a new one. You can also support River Legacy just by shopping at Kroger with your Plus Card and selecting River Legacy Foundation as your charity of choice through their Community Rewards Program. Have a special child in your life who loves learning about and exploring nature’s wonders? 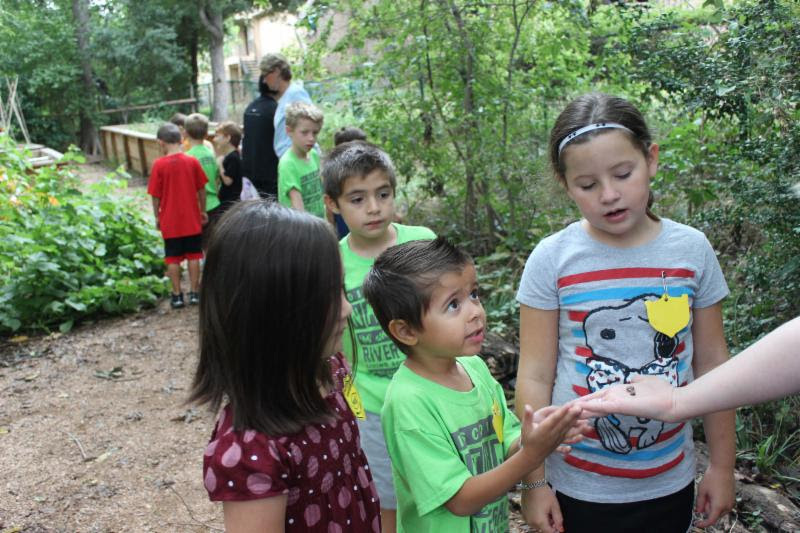 Purchase a gift certificate for a weeklong Summer at the Science Center class in June & July or for our school year 2019-2020 Nature School preschool program. To purchase your certificate, stop by the Science Center or call 817.860.6752, ext. 102. Give the gift of magical memories. Book a Storybook Magic photo shoot for $50 and the studio will donate the fees to River Legacy Foundation. You will receive a complimentary magical portrait session and one 8 x 10 portrait (a $250 value). To learn more or to book your fantasy photo shoot in support of River Legacy Foundation, schedule your appointment online at www.storybookstudiosdfw.com. 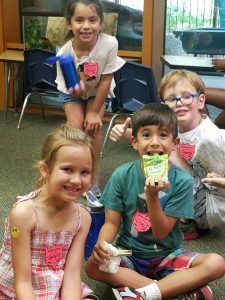 Scouts now have two Badge Day options at River Legacy Living Science Center as they prepare to earn badges and move from one level of scouting to the next with an emphasis on nature. * Badge or Award program is designed to complete all steps required to earn the badge. ** Badge programs are designed to complete a few steps required to earn the badge. Click Here for more information on the Winter Scout Badge Day requirements. Click Here for more information on the Spring Scout Badge Day requirements. Cost for each Badge Day is $15 per Scout and sibling. Parents and chaperones may attend for free. Scout programs are held rain or shine, so please dress appropriately as a portion of the program will be outdoors. The day is designed as a come-and-go program. Lunch is not provided, but participants are welcome to bring a sack lunch. Registration is available online here for the Winter and/or Spring events. Please note that once payment is received, there are no refunds. 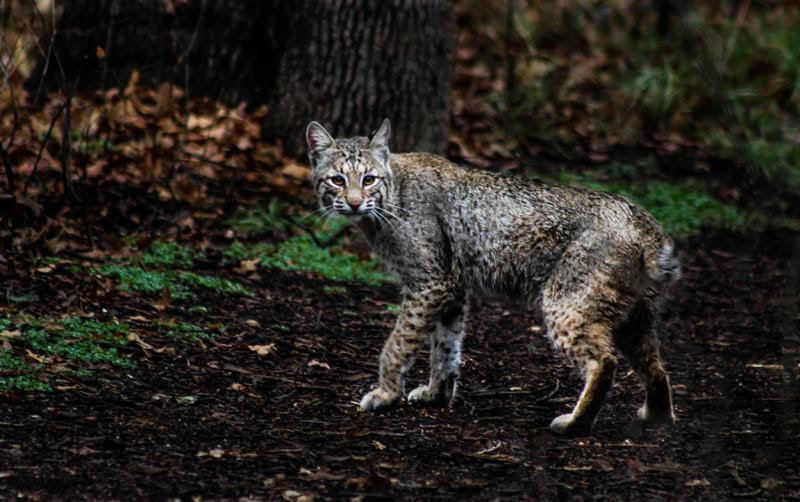 To learn more, contact Naturalist Supervisor Shannon Porter via e-mail or at 817.860.6752, ext. 119. Catch our August Flash Sale: Our remaining discount Hurricane Harbor tickets are now just $15 while supplies last. These tickets are valid for any operating day of Hurricane Harbor’s 2018 season which goes through Sept. 23. Get this great deal to enjoy some last-minute Summertime fun before school starts! Remaining supply is limited, so get ’em while they last! We are extremely thankful for all of the businesses, corporations, and individuals who donate services, products, merchandise, gifts, etc. 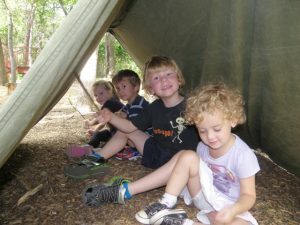 to support River Legacy’s environmental education programs. Every donation, from food, printing to products, helps us invest more of our donors’ contributions and grants received into growing the next generation of environmental stewards. And we couldn’t do it without YOU! PrintPlace – River Legacy Foundation/River Legacy Living Science Center is so grateful to participate in the PrintPlace Nonprofit Sponsorship Program! We would certainly LOVE to have your in-kind partnership too! Donations of gift cards, services, products, merchandise and more can be great incentives for our fundraising event auctions and raffles. Download an In-Kind Donation form or contact Kristi Payne via e-mail or call 817.860.6752, ext. 107. 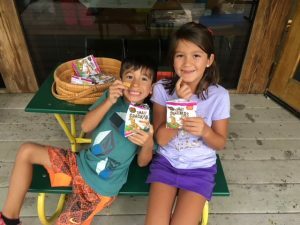 Thank you so much connecting families and children to nature! Discount Hurricane Harbor Tickets at River Legacy! 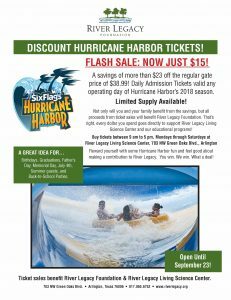 River Legacy Living Science Center has your discount ticket to summer fun at Six Flags Hurricane Harbor! 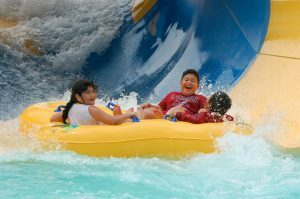 Buy daily admission tickets to Hurricane Harbor for just $20 (a savings of more than $18 off of the gate price of $38.99) at River Legacy Living Science Center! Daily admission tickets are valid any operating day of Hurricane Harbor’s 2018 season and can be purchased between 9 am and 5 pm Mondays through Saturdays inside the gift shop at the Science Center, 703 NW Green Oaks Blvd. Limited supply available, so get yours TODAY. River Legacy Named Chamber of Commerce 2018 Nonprofit of the Year Award! River Legacy Foundation is thrilled to be named as one of the Arlington Chamber of Commerce’s 2018 Nonprofit Organization’s of the year! River Legacy shares the nonprofit award with the Arlington Sunrise Rotary Club and is also in esteemed company with the Small Business Award Winners of Sugar Bee Sweets; 3Di Sign & Design and Arlington Today magazine. 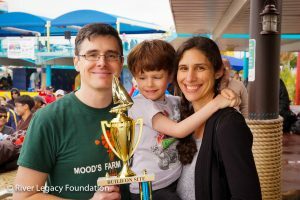 River Legacy is honored to receive this award and to be recognized for connecting children, families and students to nature. Of course, we share this award with the hundreds of donors and volunteers who give us their gifts of time, talent and money. We could not do what we do without them. Read the press release to learn more about the Arlington Chamber’s Small Business of the Year Award recipients! Thank you to the Arlington Chamber and River Legacy’s network of donors and volunteers for your support! River Legacy Discovery Room is NOW OPEN! Thanks to the generosity of our donors, supporters and community, the Transformation of River Legacy Living Science Center’s Exhibit Hall is now complete! Come visit the NEW River Legacy Discovery Room to experience the amazing transformation. Admission to the Discovery Room is $3 for children (ages 3 to 12); $5 for adults (ages 13 to 59); and $4 for seniors (60 +). The Science Center’s atrium with its activity tables, exploration stations and terrariums and the surrounding nature trails will still be accessible to the community at no cost. The Science Center will also continue to offer FREE family programs on Saturdays and FREE family festivals. 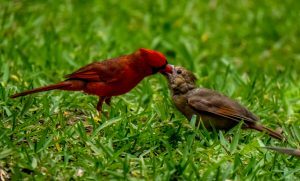 Access to the Discovery Room will be free during those festivals: Great Backyard Bird Count on Feb. 17; Earth Day on April 14; and W.A.T.E.R. Festival on September 8. The Discovery Room features two large aquariums, all new engaging exhibits and a 30 foot interactive screen where guests can virtually immerse themselves in woodland habitats and seasons, learn fun facts about wildlife and play a variety of games – competing to be the top lizard in a push-up challenge; jumping as high as frog to catch dinner; or posing for a woodpecker selfie and MORE! The environmental stewardship area of the Discovery Room will inspire guests to take action to keep our waters clean, pick up litter and recycle. A collapsible wall featuring vibrant graphics closes in our learning labs providing secure and private access for our field investigations and classes, but can be opened to expand the exhibit area when not in use. This new space allows more opportunities to host meetings, weddings and traveling exhibits. The interactive wall was designed by 900 lbs of Creative, whose design credits include The Perot Museum and the Dallas Cowboys. The exhibits were created by Split Rock Studios in Minneapolis, who have designed exhibits for nature centers across the country. 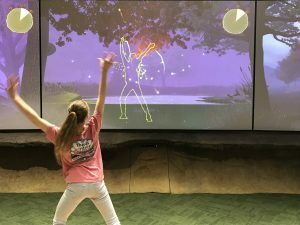 To sustain and maintain the integrity of the new exhibits, River Legacy Living Science Center is launching an annual membership benefits plan that will allow guests unlimited access to the Discovery Room, as well as other perks, such as guest passes, private events and free tickets to special events. Click here to learn more about the membership benefit levels that best suit your family’s needs. River Legacy Foundation would especially like to thank our major donors and partners: The Arlington Tomorrow Foundation; the Gene & Jerry Jones Arlington Youth Foundation; Baylor Orthopedic and Spine Hospital at Arlington; ACP International; the Sid W. Richardson Foundation; the Ann L. and Carol Green Rhodes Charitable Trust; The Meadows Foundation; Amon G. Carter Foundation; Sedalco Construction Services; Quorum Architects Inc,; Republic Waste Services; Arlington Water Utilities Department; Becky and David Moritz; anonymous donors; individuals and the River Legacy Foundation Board of Directors for helping to make this $2.5 million renovation a reality. River Legacy Living Science Center and the NEW Discovery Room are open 9 am to 5 pm Mondays through Saturdays. Discovery Room admission and annual membership benefit plans can be purchased inside the Science Center’s Acorns Gift Shop. For more information on the Center, Discovery Room or educational programs, visit our Web site or call 817.860.6752. Seasons of Growth and Change! Growth and Change. Because of you, 2017 has been a year of great growth and change at River Legacy. As simple as an armadillo rooting through the leaf litter. As rewarding as a trip down a new trail to the Trinity River. As engaging as the spark of wonder in the eyes of a child discovering a bulb pushing up through the soil. Growth and change are exciting. Because of you, River Legacy has experienced much growth and change from its beginning roots. 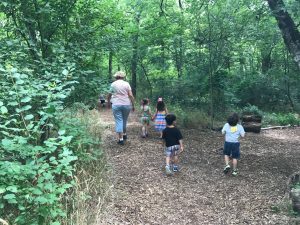 River Legacy Park has grown from 176 acres to more than 1,300 acres of greenway that shelters a myriad of animals and plants – and the thousands of humans that are nourished by experiencing that abundance. Walkers, hikers, strollers, bikers, kayakers and canoeists, skaters and wheelchair users can find ever-new ways to access the Trinity River and its surrounding forest. Growth and change are intriguing. Growth and change prompt reflection. We examine where we were, where we are now and where we might go together. With your support, the exhibit hall at River Legacy Living Science Center has been transformed into the River Legacy Discovery Room, a rich learning environment bursting with more ways for new generations of children and adults to experience the wonders of our natural environment and take pleasure in the simple – yet infinitely complex – networks of life abundant. Growth and change are inviting. River Legacy’s programming is growing and changing, too. What started with field investigations for some local students has grown into field investigations for more than 14,000 school children each year. Students from public and private schools, as well as homeschoolers, from the region come learn in the Center and in our outdoor classroom. 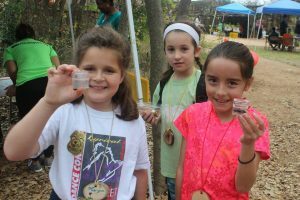 Our Saturday programs, community festivals, summer camps and winter-break and spring-break explorations offer opportunities for all to connect with nature. Adults also come to learn in our nature center about birds, composting, water conservation and more. People also come to meet, whether it is celebrating weddings, holding corporate events, or gathering for the kind of community activities that introduce more people to the riches of River Legacy. Growth and change are life-enhancing. Your generosity has been the key to all this access, renewal, growth and change. THANK YOU! You strengthen our community by supporting River Legacy Foundation. THANK YOU! Our reward is knowing that you value the resource that River Legacy has become. We are celebrating the change and growth we are seeing with the grand opening of our Discovery Room in late January/early February. Growth and change are joyous. Thanks to YOU, we have seen wondrous changes at River Legacy because of the gifts of your time, talents and financial support. Thanks to you, we have more opportunities than ever for growth and change. We hope you will continue to shape and support our ever-changing programs at River Legacy. Come explore the River Legacy Discovery Room. Spread the news about the growth and change that is happening at River Legacy. Participate in community events and festivals at River Legacy. Volunteer and join in the fun. Consider making a tax-deductible end-of-year gift to support recreation, preservation and education at River Legacy. However you choose to be a part of the growth and change – We Thank You! Hoping to see you soon at River Legacy for more exciting, intriguing, inviting, life-enhancing and joyous growth and change. Happy New Year!